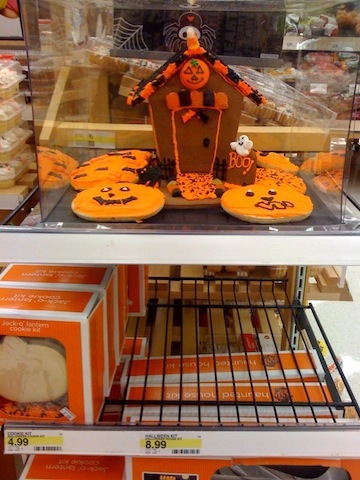 Just at Target and saw that they already have their Halloween Gingerbread Haunted House kits!Halloween falls on a Saturday this year so why not have a party and present this Halloween Gingerbread House as a focal point! This would be a great activity to make with your kids! !